The cast iron bridge symbolises the importance of this area as home to the early Industrial Revolution as it is the first of its kind and is one of the few that remains today. If you want to satisfy your intrigue further, the Tollhouse exhibition will provide you with a fantastic insight into the history of the bridge and its significance. The Ironbridge Gorge has excellent cycle routes for those of you wanting to get active in the outdoors. The Mercian Way route, for instance, runs alongside an old railway line and is therefore flat, making it ideal for a casual bike-ride. The footpaths and walking trails are also a great way to get some fresh air around Ironbridge and the surrounding area and give you the chance to admire some stunning views. Recently voted as the best place to picnic in the West Midlands, Ironbridge Gorge is a lovely place to relax and enjoy some home-made food. There are plenty of benches and picnic tables dotted about so it’s easy for everyone to take part. 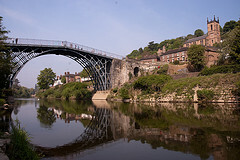 The Ironbridge area is pretty extensive, which means that there is a huge amount to see and enjoy. It is a good idea to plan your trip in order to make the most of your visit as it’s hard to fit everything in! 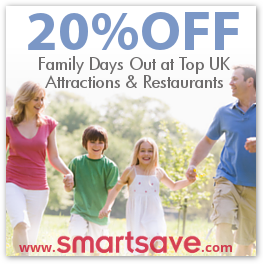 It’s an ideal location for family outings, a day out with friends or to enjoy on your own – definitely one to tick off your must-see list. Opening Times: All year round.